Eating Candy and Making Games! Right?! Isn’t that how game development is supposed to be? Find something that is fun and THEN worry about art and everything else. You have to start with something and iterate and iterate and iterate until you’ve got everything *just* right and feeling amazing for your core mechanics. I mean, this is what the player is going to be doing for most of the game! It’s gotta feel PERFECT! Why do Mario games feel so great? In the NES / SNES days there were a billion platformers… so why don’t their physics and movement and collision and speed feel as good as they do in a Mario game? Because they spend a TON of time making sure everything in those core mechanics were absolutely and without any doubt perfect. It’s impossible to create something on paper that you know for sure will actually be fun once it’s implemented. You’ve gotta play with it and mold it until you make it fun. How many times have you engineered an awesomely “fun” idea in your head only to find out that when you implemented it, it was total poop? My guess is more often than not. I’m a firm believer that the only way to get a good idea is to get a lot of ideas. And that’s exactly what the prototype heavy design process gives you: a lot of ideas. By the sheer power of numbers, one of them has to be decent, right? I absolutely love that PopCap embraces this prototype philosophy and tries tons of different ideas before settling on one. And I’m sure that’s exactly what they’ve done in order to make their latest Bejeweled game so damn fun and addicting! ( Of course they do have the luxury of mountains of Bejeweled cash at their disposal to allow them to take their time and get it right without any time or money pressures ). It’s simply amazing! When I first heard about it, I thought, “Ugh… really? Another one? What can they possible do to revive the franchise that’s been done to death on every device on earth?” I was so wrong… so… so… wrong. 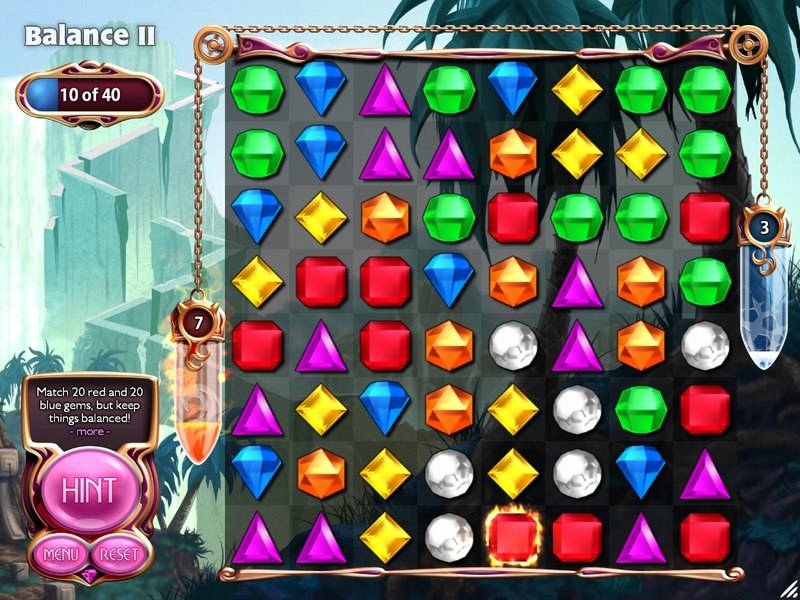 You’d think it would just be a prettier version of the previous Bejeweled games. And, yes… it is prettier. But the best part about the new game is that it gives you brand new ways to play the same old game ( and you can still play the old way as well of course! ). Butterflies - Some gems are actually butterflies that move up one row every time you make a move. Your goal is to match a certain number of butterflies before any of them reach the spider at the top. 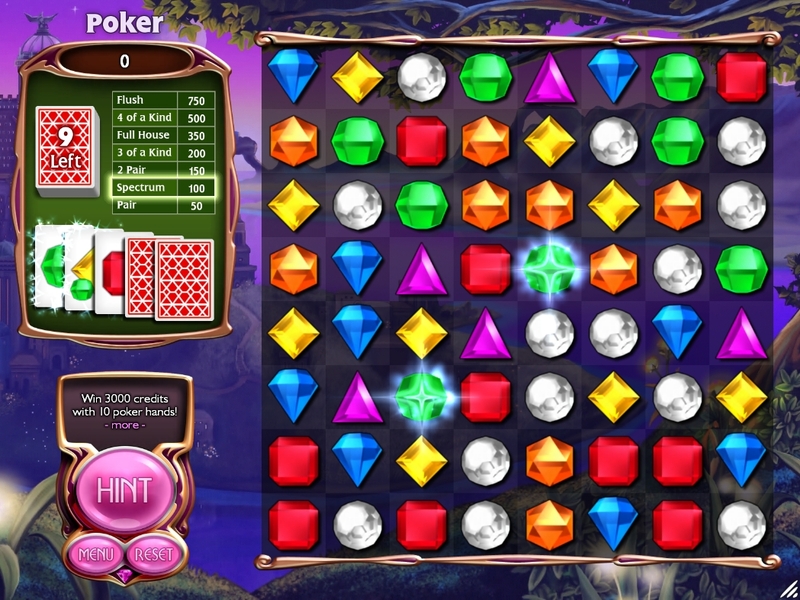 Poker - Make poker hands using the gems you match. 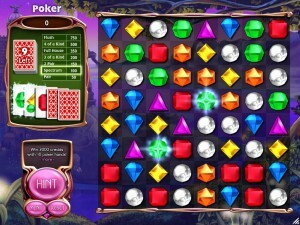 For instance, if you match 3 red gems and 2 green gems then you’ve got a full house. Each poker hand is worth a certain amount of points and you have 10 hands to reach a specific point goal. 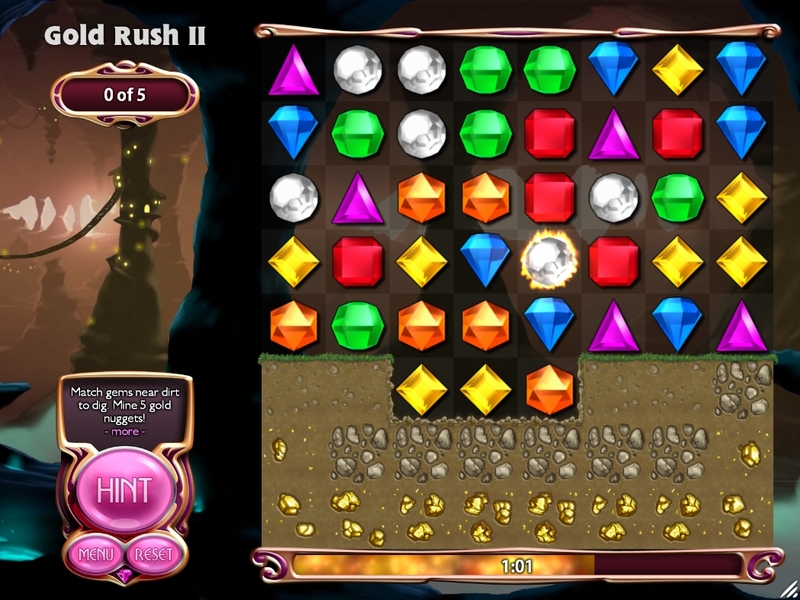 Gold Rush – The gems on the board sit atop dirt that contains gold in some spots. Your job is to make matches right above the dirt in order to mine a certain number of gold pieces under the time limit. 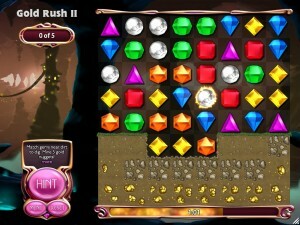 This one gets really challenging when you’ve gotta mine through rocks first in order to get to your gold! 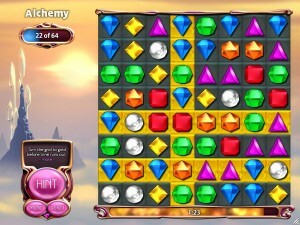 Balance - The goal is to match a certain number of blue and red gems. However, every time you do so, they are added to a scale ( red on one side and blue on the other ). If the scale gets too unbalanced, you lose. Alchemy - Whenever you make a match, either that row ( if the match is horizontal ) or that column ( if the match is vertical ) turns gold. Your job is to turn the entire board gold under the time limit. In a later variant, it takes 2 steps to turn a row or column gold… one match turns it from black to grey and a second match turns it to gold. My guess is that the PopCap prototype design process generated these new game modes. “Hey Bill! 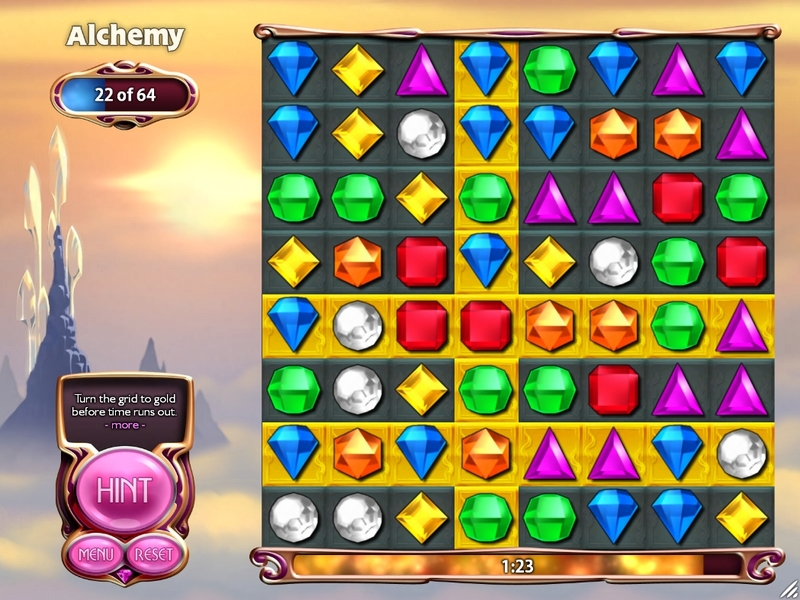 What if we added a balance meter to the game for how many red or blue gems you match? 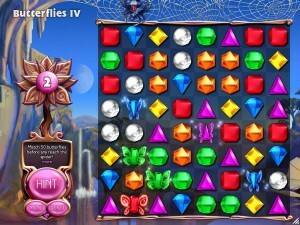 Or what if some of the gems turned into butterflies and you’re trying to keep them from getting eaten?”. “That’s crazy, Frank! It would be way better if we allowed the players to make poker hands with their matches! Let’s prototype them all and find out which ones work!” I’m pretty sure that’s the exact conversation that occurred early in the design stages for Bejeweled 3. As both game developers and game players, I think we should just give PopCap full access to our bank accounts. I am 100% confident that they’ll put it to good use.